Java developers are a dynamic, ever changing bunch. Over the past couple of weeks, I ran an industry survey here on Baeldung, to see how Java 8, Spring 4 and the newer Spring Boot are adopted and used in the industry. 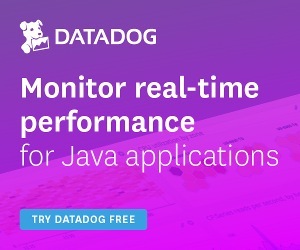 The community is clearly moving to Java 8 at a very fast pace – a Typesafe survey had Java 8 adoption hovering at around 26% back in October of 2014. We are now at almost 40% adoption in May of 2015 – only 7 months later – which is quite impressive. The numbers are very clear – the ecosystem is moving to Spring 4. The earlier releases – Java 7 and Spring 3 – are clearly on a downward trend but do have a solid part of the market. What’s interesting though is that the older versions – Java 6 and Spring 2 are nearly gone or down to single digits. Overall, it looks like the pace of adoption is strong for both Java 8 and the newer Spring technologies.